Fancy a used electric vehicle (EV)? Well, with some research, secondhand EVs are becoming a reality if you simply can’t, or won’t, pay new EV prices. Depending on where you sit on the scale of opinion, the electric car movement is either the next logical step or something you are certain you will never join. This broad range of views is very common and understandable. For every good bit of news about an EV (electric vehicle), there is also a solid amount of negative press. The charging infrastructure is certainly an issue but it is getting better all the time; batteries are getting smaller and lighter and ranges are coming up. All of this and charge times are dropping like a stone, too. So wherever you sit at the moment it is time to at least give the EVs a chance. Here is a useful list of 5 EVs that have a lot to offer. There is no doubt the Nissan Leaf is very much the figurehead of the EV world, much like the Toyota Prius was for hybrids. This little car has been at the forefront for some time now, and for good reason. The Leaf has a slightly unique look about it and this is perhaps dating a tiny bit, but for many it is still a fun looking car. The interior continues the theme, but is now starting to feel a bit dull. There is plenty of space, and while it’s no load lugger the 370 litre boot is enough for most people. It can seat a family of four in relative comfort, too. Range wise it will do around 120 miles but the top models can do 155. Though the Leaf is not a performance car it will do 0-60mph in just over 11 seconds, and the classic electric ‘shove’ makes it feel surprisingly nimble to drive. There are some issues to be aware of, however. Deprecation is a problem. The Leaf is claimed to lose about the same amount of value in a year as some rivals do in three. It is also not cheap to buy, and higher spec models are pushing it into silly money for what you get. The looks are not new and a buyer may find they struggle to move the car once they feel they want to upgrade. Volkswagen may have suffered a PR nightmare with the emissions crisis, but there is simply no getting away from the fact that the brand carries weight. The Golf surely encompasses this cache more than any other model, so it was the perfect way to launch a serious contender into the EV market. “Everyone loves a Golf” or so say many, even if you don’t love it, there are very few people that dislike every version of the car. The latest EV boasts a range of 186 miles and 136PS, which is really quite a lot; it is also a touch faster than the Leaf. In terms of styling…it’s a Golf, although underneath it is something very different. This vehicle would suit the type of person who doesn’t really want to shout about having an EV. 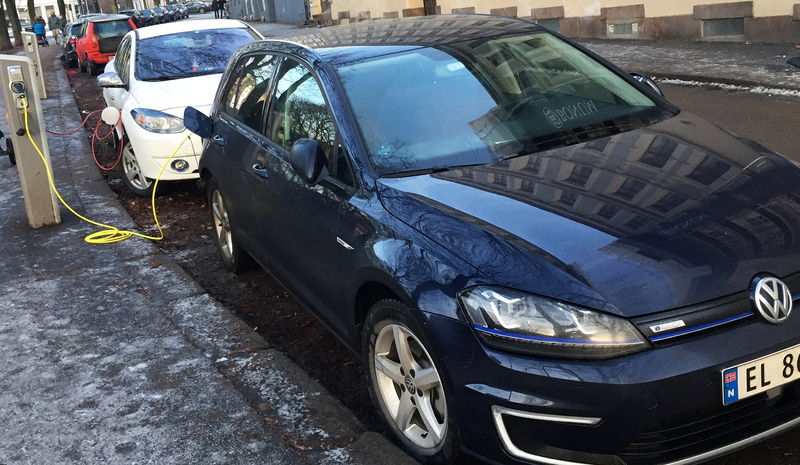 Unlike some of the other cars out there, the e-Golf is about substance and not quirky looks. This carries on inside with all of the usual features you would expect to find in a car. The gear stick, a rev counter and all the quality materials VW normally use. It really is a normal set of wheels and that is the key here. Sadly, once again the spectre of depreciation hangs over this car – and in stark contrast to the very high residual values of the fossil-fuelled versions. The BMW i3 may look like a bit of fun, but it brings a far more serious side to the EV discussion. It is certainly very high tech, and uses all sorts of super light materials, including carbon fibre which you normally only see on million pound supercars. As with VW, the brand is strong and BMW buyers expect quality. The i3 manages to deliver what is asked of it in terms of styling and build and it certainly has a more aggressive look than the Leaf and other EV options. Where the Golf kept it quiet and the Leaf played the friendly card the i3 brings with it a purposeful angle. It is fast too, it offers 170PS and BMW suggest it will do 0-60 mph in around seven seconds, which is considerably faster than all other EVs, aside from the Teslas. Interior wise you are left in no doubt you are in an EV. There are no conventional dials, and the dashboard sits very low with a single screen behind the wheel. The price will put a lot of people off though, and this is clear by the small numbers seen on the roads, compared with other options. The downside of this car is the ride, it is firm; it is very hard indeed. For many, it will simply not be comfortable on long runs, and due to the very quiet engine the road noise is also a bit of an issue. Okay, so this is not technically an EV it is a Plug-in Hybrid Electric Vehicle. But it offers a very real and very good alternative for those needing something bigger – and a four wheel drive system. The “PHEV” uses a not so small 2.0 litre petrol engine to charge the batteries when they drain, to drive the electric motors and…when you need it to, directly drive the other two wheels in 4×4 mode. The EV market is focused on small cars, but there are a huge number of people out there that need more. They also may not live in towns, and a quick hop to do the shopping can easily clock up 30 miles. To this end, the Outlander is a strong contender. It looks just like an SUV and it offers a very comfortable, spacious and safe environment. It will get through mud and snow, it will lug things to the tip and it will even cope with camping holidays, and the like. Against other SUVs it won’t win any reviewer’s heart, but it will cost far less to run. When compared with other EVs, it wins hands down for space, size and practicality – but it is not quite the full EV package, so it may not be a fair comparison in all areas. No EV discussion would ever be complete without Tesla getting a mention. Where every other brand opted for substance over style and then made it look okay, Tesla insisted on zero compromises. What the marque has done is create an almost mythical range of cars that look amazing, perform like very little else and are genuinely desirable. They even have their own special charging points so you get to feel special, even when the battery is running out. A normal range is claimed at around 270 miles and a quick 30 minute stop at a charge point will add another 170 miles of range. Performance is good, with the “Ludicrous” upgrade it becomes…well, ludicrous! Make no mistake though, as good as this car is, it is also very expensive. This is a luxury machine and the price tells you that very clearly. All versions are four-wheel drive, they have falcon doors which look amazing but could be an issue from time to time, and they come with a huge daily dose of smugness. Tesla makes amazing cars and the Tesla Model X is no different, but it is really perhaps too high end to be considered by most people looking for an EV. This list is by no means exhaustive, and there are other EVs on the market. So what is the best and what should you choose? Well, it depends, as always, on what you need it for; your budget and how you are going to buy the car. One thing’s for sure, leasing is certainly a strong option for EVs at this point because the residual value issue is not something that needs to be dealt with. 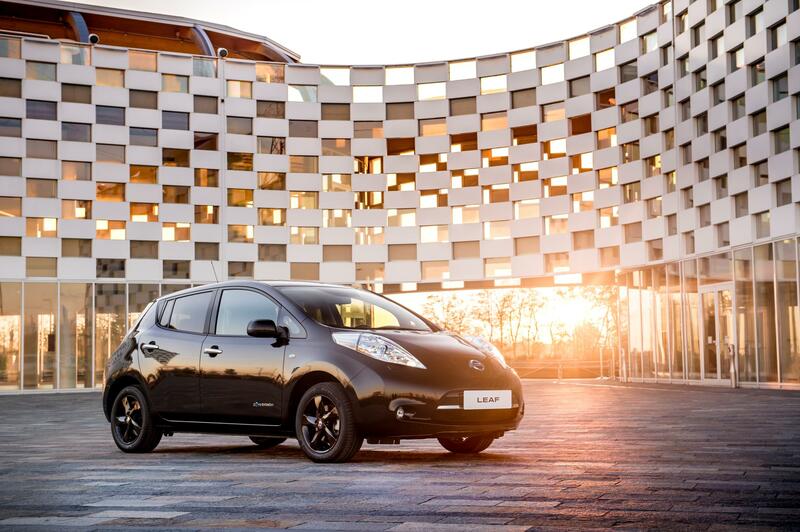 The Leaf has always been the big name but it is ageing and losing some of its kudos. 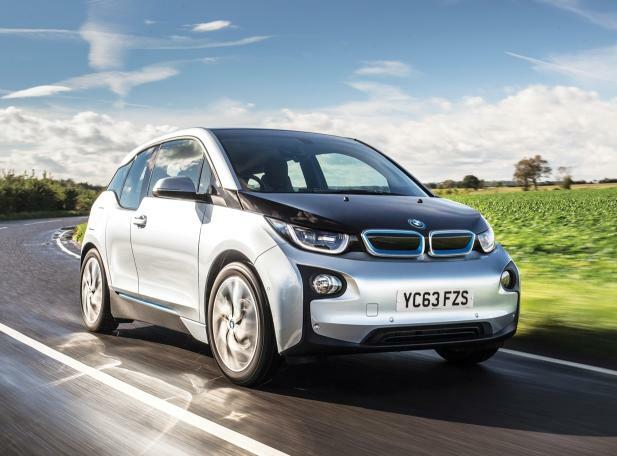 The i3 maybe cool but it is very pricey and the stiff ride may just be too much. So the bottom line is this. If you have the money, get the Tesla; if you can’t quite stretch to that, then the Golf is a very sound bet. 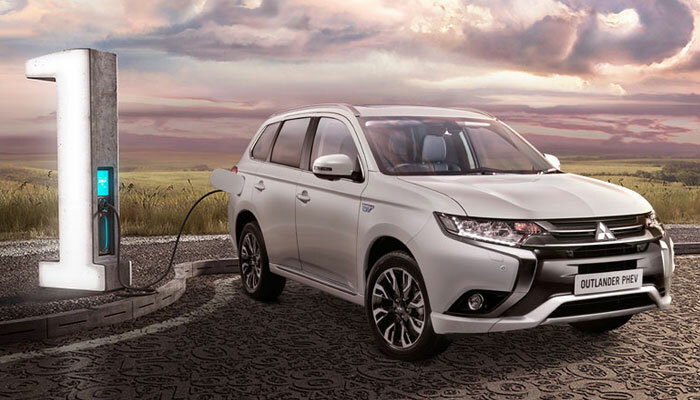 If you need more rugged load lugging capabilities, then the Mitsubishi PHEV is a great compromise at this point in the evolution of the EV. Land Rover to Turn Next Discovery Sport Into a Hybrid? Carsnip Limited is authorised and regulated by the Financial Conduct Authority (FRN 711949). Carsnip is a credit broker and works with credit brokers, lenders and their appointed representatives (such as car dealers) and may receive payments for displaying financial offers or commission for applications or completed loans from its partners. Carsnip does not contract directly with consumers on any finance application.